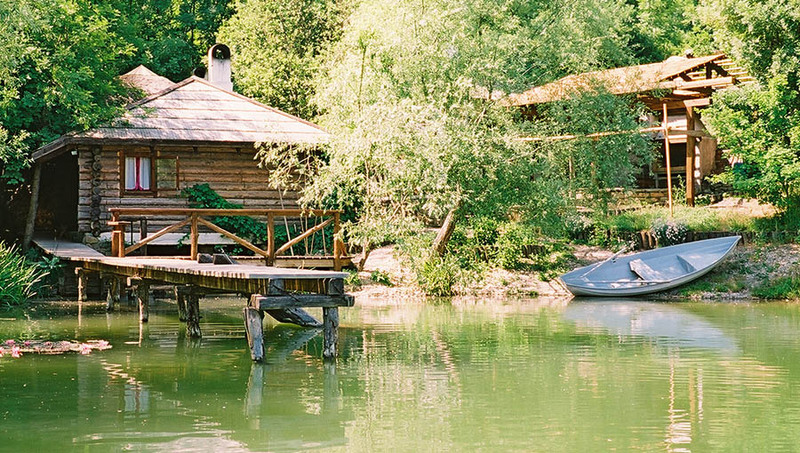 Where to relax in Gelendzhik comfortably? 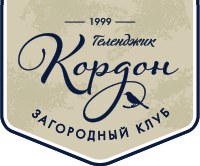 Kordon is the Russian noun for a temporary of fixed security post in a forest reserve. It is used to observe the flora and fauna of the area and protect the endangered animals from poachers. It is also the collective name for residential and commercial buildings for workers of national parks, reserves, sanctuaries, and hunting farms. And Kordon is synonymous with gracious hospitality. Country Club Kordon combines seclusion and privacy of the forest reserve and the upmarket comfort of the country club. Clean air, beautiful scenery, excellent kitchen, bath, and fishing are ideal components of the enjoyment of nature and rejuvenation of your spirit. You can arrange a picnic here, fish local lakes and use our bath complex and then spend a splendid evening in a luxury restaurant with panoramic view of the enchanted gorge. Those who want to stay overnight can book one of our comfortable chalets. A natural and relaxed setting is the main principle of Country Club Kordon that began in 1999. There is no room for boring and standard solutions at Kordon. 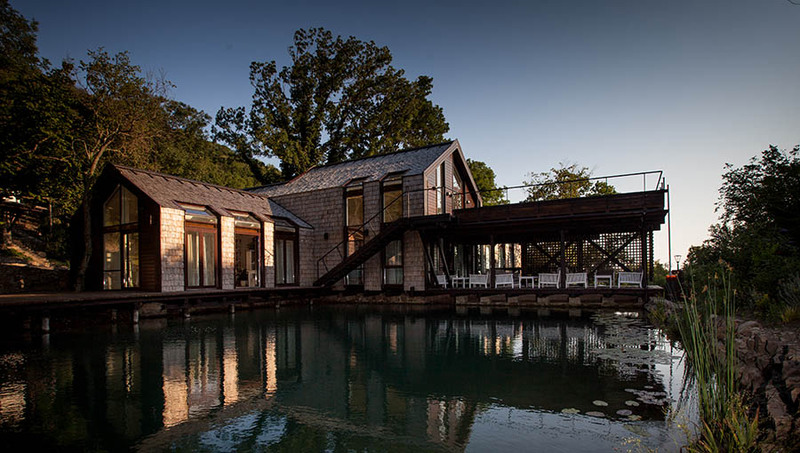 Quaint architectural forms repeat natural lines and patterns of the landscape. The Club territory is roughly divided into three recreation areas: the upper, middle, and lower Kordons. A picnic area is located on the middle and lower lakes. 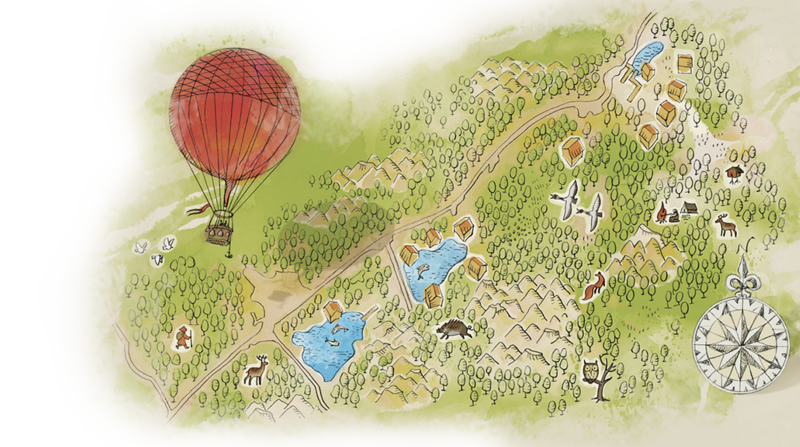 Here you can have all you need for your one-day recreation programme including sauna, fishing, and seasonal shelters where you can arrange a friendly feast. You can order ready-made dishes from the menu or prepare them yourself in a specially equipped kitchen. Please note that there is no overnight accommodation within the picnic area. If you want to stay overnight, please note that the upper Kordon offers a recreation area with increased comfort for the enjoyment of our overnight visitors. Our friendly hotel complex is located right there. The place is still frequently referred to as Pogodinskaya Dacha (or the Pogodin’s Cottage). The locals named it after the famous Gelendzhik Communist Party leader Nikolai Pogodin who disappeared mysteriously in 1982 after a massive corruption scandal. This picturesque and enchanted nook knows many fascinating stories both real and imagined. In Soviet times, the current territory of Country Club Kordon hosted fire ponds of the Gelendzhik forestry. Legendary USSR leader Leonid Brezhnev was said to visit this place very often. He was a reputed bon vivant who liked the untouched nature of Kordon and its unobtrusive comfort. He liked to invite his friends and comrades-in-arms of the Eastern bloc to spend weekends at the Pogodin’s Cottage. They would fish and recreate themselves here after their hard labour for the public good. There are a lot of amazing stories associated with the place. The accuracy of many of them is impossible to verify now. 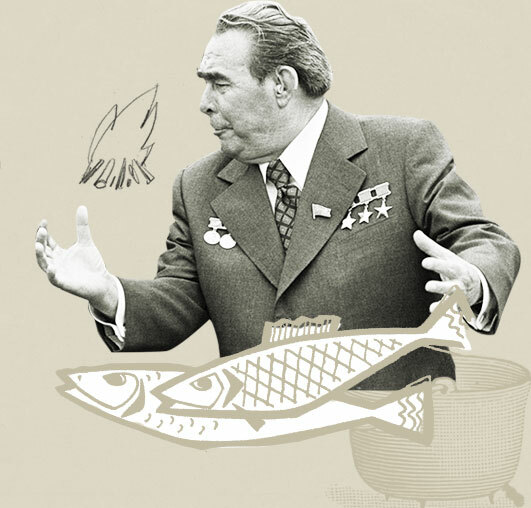 According to one of the stories, it was here that Leonid Brezhnev caught a pike weighing 20.5 kg. Only old huntsmen who worked in the forestry in 1970s could answer if it was true or not. They were privileged to know many secrets for sure — and not only professional secrets but those of the state sometimes. However, the official duties which were applied to them required to hold their tongues. The Club territory is roughly divided into three recreation areas: the upper, middle, and lower Kordons. A picnic area is located on the middle and lower lakes. Here you can have all you need for your one-day recreation programme including sauna, fishing, and seasonal shelters where you can arrange a friendly feast. You can order ready-made dishes from the menu or prepare them yourself in a specially equipped kitchen. Please note that there is no overnight accommodation within the picnic area. If you want to stay overnight, please note that the upper Kordon offers a recreation area with increased comfort for the enjoyment of our overnight visitors. Our friendly hotel complex is located right there. You can fish our lakes and special ponds where we have several species of fish including sturgeon, sterlet, Black Sea salmon, Donaldson trout, crucian, carp, and other species. The elite live fish is delivered from the best fisheries in southern Russia. Those who prefer fishing the traditional way can sit by the lake with a fishing rod, enjoying the beauty of the moment. Visitors can swim here as the water is clean, the bottom is safe and the depth is about 2 to 6 m. In spring and summer as air temperatures rise, the lake surface warms up to 22°C. The lower layers of the lakes always remain cool. Anyone can go for a row or take a catamaran cruise. You can rent the entire complex for private events. The maximum number of guests is 100 people. Country Club Kordon is a favourite holiday destination for respectable individuals and corporate holiday parties. It is better to book your one-day or overnight recreation activities in advance. Usually, we are full on weekends and holidays.